SAN DIEGO -- Trying to spice things up a bit, Mt. Carmel Cross Country Invitational meet director Dennis McClanahan offered invitational/senior races in both Division 1 and 2 last year. The idea was the stronger teams and individuals, regardless of grade, would compete in the Division 1 invitational/senior race. But there was confusion, so a power like Carlsbad La Costa Canyon entered the Division 2 invitational and others, like Riverside Martin Luther King remained in Division 1. The difference was pretty dramatic. Running the very first two races of the day, the girls and boys Division 1 runners at the Morley Field course were greeted with high clouds and 60-degree weather. In other words, perfect conditions. By the time the Division 2 invitationals came mid-afternoon, it was sunny and in the high-80s. Not so ideal. "I think the coaches have figured it out now, we have a lot more entries in the invitational," said McClanahan, who is enjoying the meet a lot more now that he has retired from coaching. "We might even change it up a little next year." 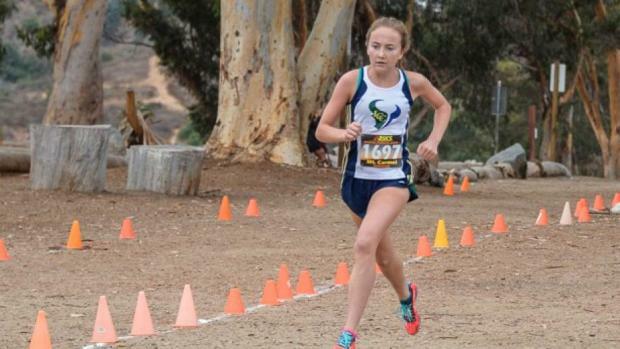 Here is a look at the San Diego Section's top non-championship meet that has traditionally been unique in that the 104 schools compete against runners from their own grade. The exception now is the invitational/senior race which is for seniors and anyone who wants to race against the best.